Choosing a right venue for your day can be a fun challange but it’s critical to your event’s overall success. That’s why I would love to share with you selection of my favourite venues (here on blog) and my first stop is the wonderful Radisson Blu Hotel & Spa in Rosses Point, Co. Sligo. It’s definitely one of the venues that I have really enjoyed photographing over the last years, perfectly nestled between the Benbulben Mountains and Sligo Bay, with Rosses Point beach just around the corner. This venue has stylish facilities combined with the impressive natural surroundings. All that has quickly made the Radisson Blu one of the premier event venues in the country’s Northwest region. You will find there a wonderful dining space carefully decorated with flowers, fairy lights, luxurious drapery, chandeliers and candelabras. All the decor and arrangements are taken care of by the Radisson’s in-house team. I must say that all staff members are excellent and I have always found the wedding co-ordinator wonderful to deal with. 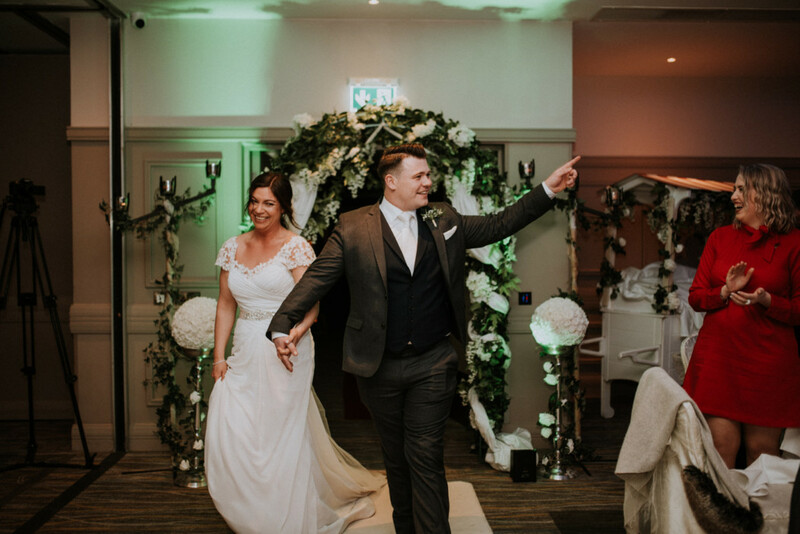 You can visit their website for more information – https://www.radissonblu.com/en/hotel-sligo/wedding-venues-sligo. Other great things to mention? – They have a wonderful Spa perfect for some pampering for the Ladies and their stylish, contemporary rooms create the perfect background for ”getting ready” photographs! This gallery presents photos that are generally about Event, Ceremony, Dress, Wedding, Photograph, Wedding dress, Wedding reception, Photography, Formal wear, Bride	in Radisson Blu Hotel.